TRASLOCHI SPRAY SOCORSO COOP. R.L. NARDI EDILIZIA SAS DI NARDI OMERO & C.
EDIL GO UP ARTIGIANA SOC. COOP. R.L. COOPERATIVA TRASLOCHI MACERATESE SOC. COOP. R.L. GRANDI SAS DI ANTONIO GRANDI & C.
TRASLOCHI LA FRECCIA FIORENTINA SOCORSO COOP. R.L. BETONGRU SAS DI CARMINATI CESARE L. & C.
ERREBI PER CREARE LO SPAZIO SOC. COOP. LA MERIDIANA TRASLOCHI SOCORSO COOP. R.L. 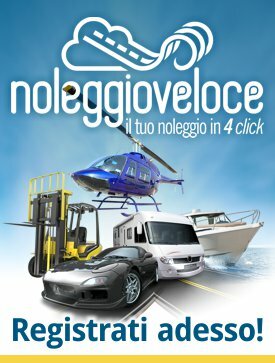 RT LATTONERIE SNC DI REVOLTI M. & F.
CORSI SNC DI CORSI GRAZIANO & C.
COOPERATIVA FACCHINAGGIO E TRASPORTO RIFREDI SOC.COOP. R.L. BRAS SNC DI BERTAZZO A. & C.
CO.METAL SNC DI FRATELLI MIROLLI & C.
MOVITRANS LINE SOC. COOP. R.L. SOCIETA' COOPERATIVA DI FACCHINAGGIO LUIGI MORELLI SOC. COOP. R.L. COOPERATIVA FACCHINI SAN DONNINO SOC. COOP. R.L. LA. G.F. NOLEGGI DI DOMIZI M. & C.
IMPRESA EDILE FOGLIA G. DI PAOLO F.
COOPERATIVA GROSSETANA SOC. COOP. R.L. AGEI SNC DI DANDOLO ANGELO & C.